Murray’s mansion and the property he held across the street (labeled a private park in property records). Last month I travelled to Monterey, California to tie up loose ends on research for my biography of James A. Murray. I knew several things about Murray’s life in Monterey prior to my trip. He moved there in 1904, at age 64, eight years into his second marriage. He purchased the Tevis Estate from David Jacks, and was likely the home’s first permanent occupant. The home remained in the Murray family until it was demolished in the 1940’s to make way for the expansion of Cannery Row. Murray died in the home in 1921 and the battle for his estate played out in the Monterey Superior Court. Today, a portion of the residence (the horse stables and corral) is the site of the Monterey Bay Plaza & Spa. Five other buildings occupy the site as well. The Monterey Bay Inn sits on the location of his main residence. During the seventeen-year period that Murray called Monterey his home, he commissioned a monument to mark the location of Junipero Serra’s first mass, purchased a Leon Trousset painting of the same event, found work for a dear friend at the Monterey Cypress newspaper, buried that friend at the San Carlos cemetery, commissioned a monument to mark his friend’s grave, and loaned money to several Monterey residents, including artist Charles Rollo Peters. Murray’s wife remained in Monterey after his death, as did her son by another marriage, Stuart Haldorn, and his wife Enid Gregg. Murray’s Trousset painting now hangs in the Carmel Mission. My primary research objective on this trip was to define the relationship between Murray and Charles Rollo Peters. My secondary objective was very broad. I wanted to find any other information that would further define Murray’s role in Monterey’s early history. My advance work for the trip was aided by James Perry at the Monterey County Historical Society and Dennis Copeland at the City Library. Perry pulled the case numbers I needed to look up court records involving Murray – two of which involved Peters. Copeland pulled a glass negative of the Trousset painting that I could examine to determine if Murray’s version was the same one that now hangs in the Carmel Mission. My plan was to review the cases at the Superior Court, see if the negative matched the Trousset painting at the Carmel Mission and then spend time looking though reels of local newspapers at the City Library. My time flipping through the newspapers was just a hunt for random stories. My time at the court went very quickly. The lawsuits between Murray and Peters were very revealing. Murray lent Peters a total of $15,000 in two loans between 1906 and 1907. This was a significant amount of money in that time period. It would take a blue collar worker 30 years to earn that amount, and a white collar worker ten. Both loans were secured against his estate (Peters’ Gate). This was at a time of lavish spending for Peters. He took in artists after the 1906 earthquake and opened a gallery at the Del Monte hotel. Both notes were due within one year, but as with many of his charitable loans, Murray did not make any effort to collect. When Murray died, he held over 50 uncollected private loans to individuals totaling over $1.25 million. Many were worthless and of a similar age to Peters’ notes. It seems he only moved to collect on these private loans if he felt slighted. It appears Murray’s lawsuits were prompted because Peters sold his estate (Murray’s collateral) between 1909 and 1910, and did not use the any of the proceeds to repay Murray. This likely irritated Murray, so he foreclosed on the new property owner to assert his right to title. It appears he won his effort to gain title to the property, as new owner entered into a mortgage with Murray. Whether any money exchanged hands for the clouded title is unclear. Murray probably did not receive much, but the foreclosure process allowed him to go after Peters for some compensation. The court records indicate Peters was forced to sell two paintings hanging at the St. Francis hotel in San Francisco to make at least a symbolic payment to Murray. Paintings by established California artists at that time sold for $50 to $500. 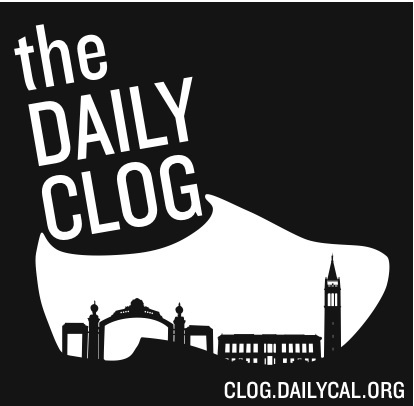 The lawsuit with Hugh Porter revealed that Murray started the Monterey Cypress newspaper in 1907 and lent Porter, the paper’s editor, half of the start-up money to be a partner in the business. Murray did this with a lot of people to avoid paying them a salary – instead, his partners worked for free and had to make sufficient profit to pay off Murray’s loan. In this case, Porter also had to make sure he could pay John Maguire’s salary as associate editor. Murray also owned newspapers in Pocatello, Idaho and Livingston, Montana where he had business interests. He also invested heavily in the radical Butte Bulletin. When I visited the City Library I discovered that in the week prior, the library has just transitioned all of their microfilm roles to an on-line platform. I searched the database very quickly and found a great article on (new-to-me) renovations at the Carmel Mission funded by Murray in 1908. This work was completed shortly before the installation of his Serra Monument. I then spent some time in the California Room browsing through file cabinets and shelves. I found some good articles on Charles Rollo Peters to provide context for Murray’s loans and the disposition of Peters’ Gate. The image of Murray’s Trousset was out for scanning, so Dennis arranged to send me a copy via email later in the week. Steps to small pulpit in Carmel Mission. Repaired by Murray. I accomplished all of the goals I set for the trip, so I shortened my stay in Monterey and booked a room near U.C. Berkeley. I wanted to check out the Douglas Tilden papers to see if there were any mention of the base reliefs he prepared for the Serra Monument Murray commissioned at the Lower Presidio Historic Park. As I left town the next day for Berkeley, I stopped by the Carmel Mission to see if any of the work Murray commissioned still existed. The curator, Jewel Gentry, was kind enough to give me a tour of the mission. It appeared to me that only the work Murray did with the stairways remained. My last stops before leaving the area were the Monterey County Historical Society and the County Recorder. At the society office I had a chance to brief Perry on what I had found, and at the Recorder’s Office I found several new-to-me property documents that enlarged the footprint of Murray’s ocean front mansion. My trip to Berkeley the next day only provided a couple bits of new information, but reading Tilden’s papers was a very moving experience. With a few extra hours I had, I made another unplanned trip to Mission Delores to see a bronze casting of the Tilden base relief that was part of Murray’s Serra monument. Murray’s Hunter’s Hot Springs Resort with Mission Style Architecture (Montana). With my new research I have a fuller picture of Murray’s role in Monterey’s historic preservation, the lengths he went for his good friend John Maguire, and the secret role he played in funding the area’s artist colony. It also came clear to me just how much influence the mission architecture influenced his other projects. Two resorts that he developed in Montana reflected this influence. Monterey was fortunate that they were able to experience the best of Murray’s personality. Most places where he did business were not so fortunate. The labor movement in the Gilded Age and New Deal era found an unlikely pair of allies in a wealthy miner and his nephew. James A. Murray started his business empire with a few dollars in his pocket in 1863 prospecting in Rocky Mountain mining camps along Mullan Road. Over the next fifty-eight years he built a fortune that today would exceed $2.0 billion and stretched from Seattle to San Diego, and from San Francisco to Wyoming. Murray was a staunch advocate for labor and never stopped supporting their cause as anti-union corporations enveloped the American West. He funded a radical pro-labor newspaper affiliated with the Wobblies during the height of labor strife in World War I, and extended his radical legacy with a significant bequest to his equally radical nephew, future U.S. Senator James E. Murray. The younger Murray rose to the top of Eamon de Valera’s support group in the U.S. and became the Senate’s strongest proponent of labor and progressive politics from the New Deal Era until the dawn of the Civil Rights movement. The story of the radical Murray family is told in depth for the first time in a beautifully illustrated twenty-page article in the Spring 2016 Edition of Montana: The Magazine of Western History. Copies of the Spring edition can be purchased individually from the Montana Historical Society. The publication is also available in over 700 libraries across the globe. Find a copy near you on the World Catalog. Coming next year: The biography of radical Copper King James A. Murray will be published by Montana Press Publishing Company in the Fall of 2017. My Unorthodox Query Letter is Rejected. But I Wouldn’t Have Changed it. My brother’s query on a unique travel destination between Las Vegas and Lake Tahoe. Tonapah was a roaring mining camp back in late 1800’s and through the turn of the century. There is a nice hotel in town that has been restored recently. It makes a great pit stop. My query letter to National Geographic’s Traveler was just rejected. But I think I did the best I could. Here are the details. Perhaps you will be inspired to put your own off-the-wall query letter into the mail. I proposed a travelogue to central Nevada, participatory tourism to discover turquoise at the Royal Royston claim outside of Tonopah. That was what my Rock&Gem (internal link) article was all about and I thought I might interest Nat Geo in a piece tailored toward their audience. 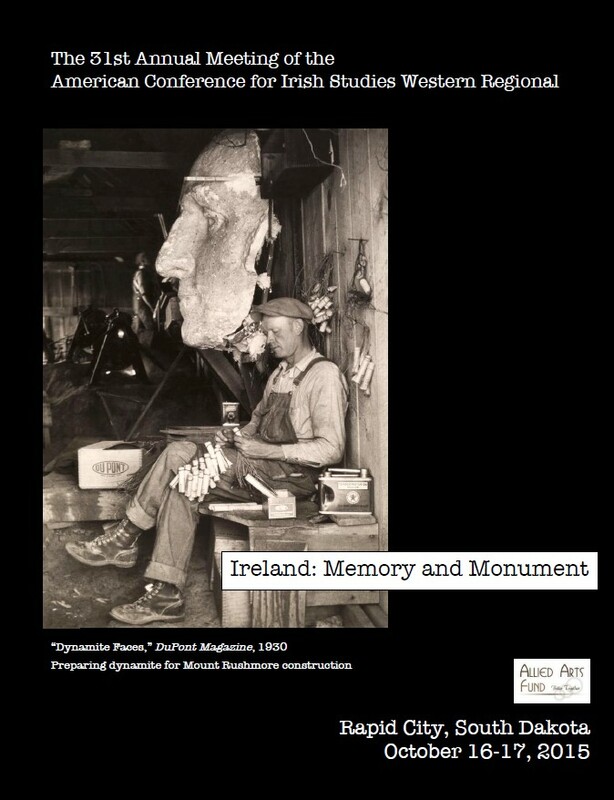 The theme of the conference is Ireland: Memory and Monument. My presentation is about the potential meaning behind three monuments commissioned by James A. Murray, an Irish immigrant; a Celtic cross, a theater stage, and a pick and shovel. Murray built a fortune in the American West with discipline, ruthless determination, deception, and colorful shenanigans that made him a favorite of the press. Murray’s accentuated personality included a remarkable radical streak unmatched by other Western millionaires. His radicalism first surfaced during the Irish Land League protests of 1883, and reached a zenith when Irish-American nationalism surged following the Easter Rising in 1916. Estranged nephew, NYU-trained lawyer, and future U.S. Senator James E. Murray served as elder Murray’s main political operative following The Rising. Elder’s money and younger’s ambition formed a powerful combination that rattled military agencies tasked with protecting wartime industries and filled coffers for Ireland’s revolution. My paper explores the motivation behind Murray’s remarkable actions to support radical Irish organizations and labor unions, using three unusual monuments he commissioned over 100 years ago.